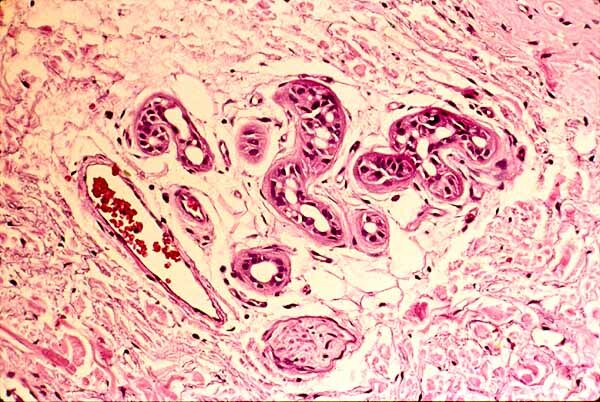 This image shows a portion of a sweat gland deep in skin, surrounded by fibrous connective tissue of the dermis. Point-and-click on the image above to identify sweat gland profiles and other structures ( nerve, blood vessels, adipocytes). Most of the area of this this image is occupied by collagen (pink), ground substance (pale background), and scattered fibroblasts and other connective tissue cells (dark).